“CBRS is inevitable. 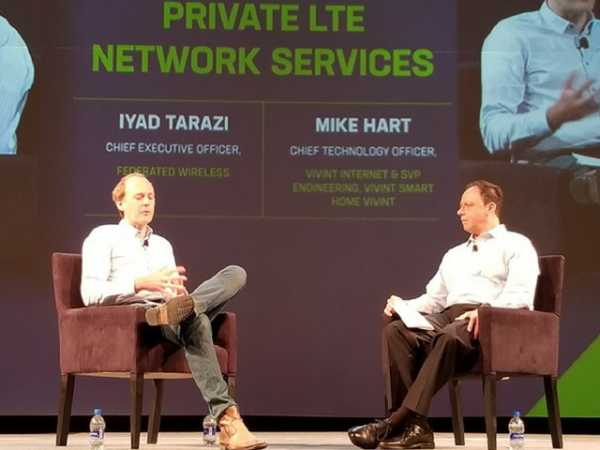 No longer if but when, and when is a matter of months now.” This is one of my favorite quotes from the fireside chat I had with Vivint’s CTO Mike Hart at ConnectX last week (Mike is on the left above). Vivint is one of those emerging entrants in the wireless market who recognize the opportunity that access to 150 MHz of shared spectrum will offer. Vivint is bullish on the market and engaged in commercial trials this summer. I wanted to share in some of the great insights I learned from Mike when we had this chance to sit down together. Iyad: Mike – please tell me a bit about your background in the industry and your position at Vivint. Mike: Happy to Iyad. Vivint Smart Home is the #1 provider of Smart Home services in North America, with 1.3M customers, growing aggressively through our direct to home, inside sales and recently launched retail sales channels. Vivint Smart Home provides service through 98% of zip codes in US. Vivint launched a pilot ISP service in 2015 to four markets, (Salt Lake City and St. George, UT; El Paso, TX; and San Antonio, TX) providing service to in excess of 15,000 customers, with up to 100 Mbps speeds using a combination of 28GHz backhaul and 5.8GHz unlicensed access technology. Vivint Internet is preparing to relaunch its service later this year using a combination of high capacity mmWave technologies for backhaul and CBRS based LTE for access to provide up to gigabit speeds and reach even more customers. Iyad: So, what makes Vivint unique? Mike: The US market is ripe for disruption. Most American households (50%) only have one choice for Broadband, and that is Broadband or no Broadband (not really a choice), even in major metropolitan areas. Significant barriers to entry that have caused many an “overbuilder” before us to fail. We have a different approach to deploying, where we are much less reliant on traditional infrastructure assets and we proved that model out with our 2015 pilot, building more than 3500 small cells across three markets in a matter of months to deliver broadband service to underserved neighborhoods. Iyad: Tell me more about how CBRS factors into your plans. Mike: We found during our pilot that the pre-5G 28GHz and 802.11ac gear, typically used by many WISPs today, constrained our ability to disrupt the broadband market on a national scale for a number of reasons. We have since been working on incubating highly scalable, high capacity 5G mmWave technology to provide fiber-like capacity to our small cells that also enables us to provide fiber-like service to those on our “mesh”, as well as working with a number of small cell vendors to develop very compact CBRS equipment that will enable us to provide broadband speeds with high capacity, without the cost and deployment challenges associated with fiber. We see CBRS as ground breaking because it provides access to spectrum that enables us to deploy a fixed wireless ISP service (not unlicensed) without the need for massive upfront investment. This allows us to rapidly enter a market and compete, because we can acquire spectrum just-in-time when we need it, instead of purchasing in advance and warehousing it. We are not looking for free or discounted spectrum, we are willing to pay market prices, what we are looking for are ways to break down unnecessary barriers to competition by enabling entities like us to access spectrum, at fair market prices, when we need it. This enables our business to scale much more capitally efficiently than otherwise, so we can build out a network very rapidly and provide a cost-effective alternative to the “choice of 1”. Iyad: Very impressive, and such a great example of the type of innovation we predicted would be a result of opening up spectrum for commercial sharing. 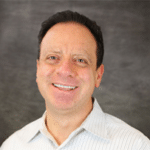 How would you rate supplier readiness for CBRS? Mike: We are ready to go now – the only thing stopping us is the delay in unleashing the CBRS spectrum band. This is probably the first band ever where the technology, including the device side chipsets, is available before the regulator releases it! Iyad: How would you suggest that the companies represented at this conference prepare for this coming disruption? Mike: The first step is to engage in the efforts. Join the CBRS Alliance, participate in trials, get educated on the technology and regulatory process, and begin to train your teams. Iyad: Sounds like there are potential for some companies to get left behind in this space, but also great potential for partnerships. What do you see? Mike: CBRS represents more business for everyone. You need to be ready to compete for a larger market against players who are not in your business today. For example: home automation providers like Vivint, cloud providers, enterprise equipment makers, manufacturers, energy and transportation industries, and IT department engineers will also be in this business. You need to establish new partnerships to reach new markets: there is an opportunity to create coalitions and partnerships to enable new innovative models. Engagement is the key.